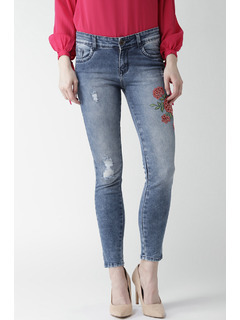 Frayed Edges Torn at the front Distress Denims are getting bigger and bigger on the trend list! Get on the biggest denim trend this year! Accessorize with: A pair of Sneakers a casual tank tee and a backpack will complete this Casual Look! 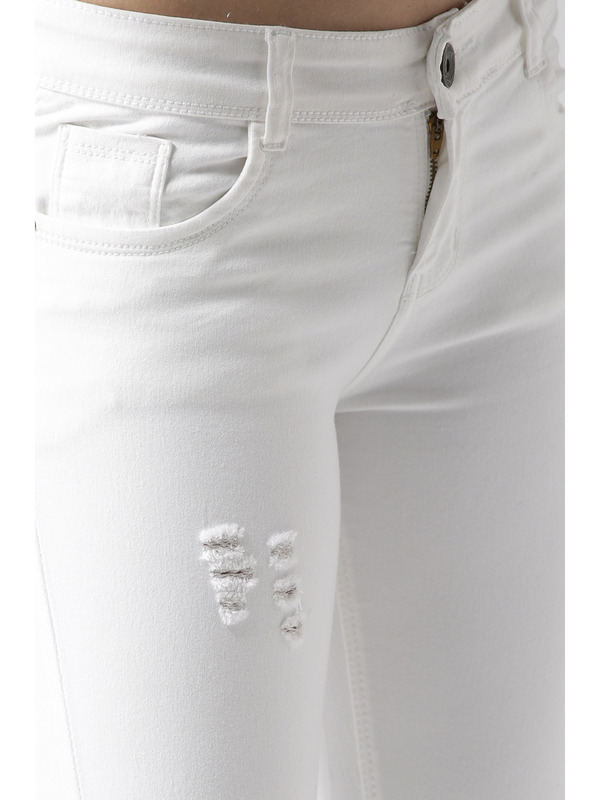 White Low Waist Distressed Denims. Frayed At The Edges and distress detailing all over the front. Button and zip for fastening.